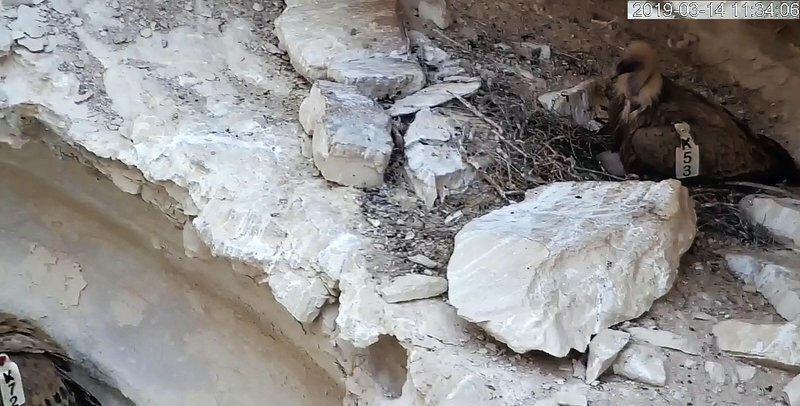 This camera is located in Israel, somewhere in the Negev Highlands. 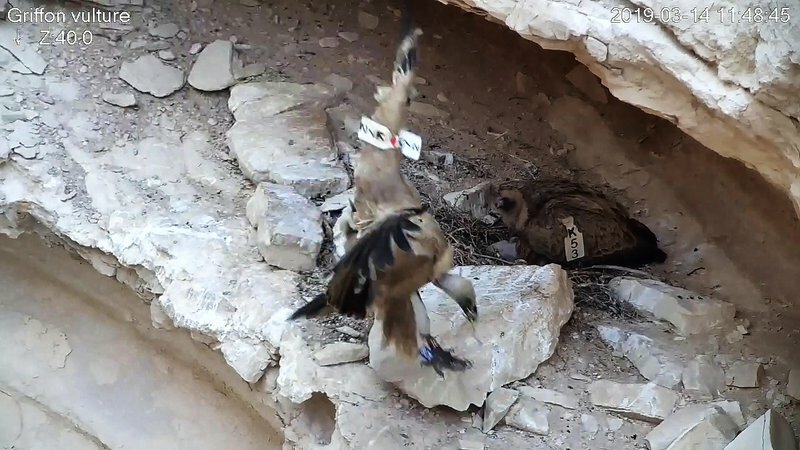 In the spring of 2016, we launched a unique and fascinating project that revealed, through online cameras, the hidden world of the great and mysterious predators nesting in Israel: the Buteo rufinus, the Circaetus gallicus and the Bubo bubo. 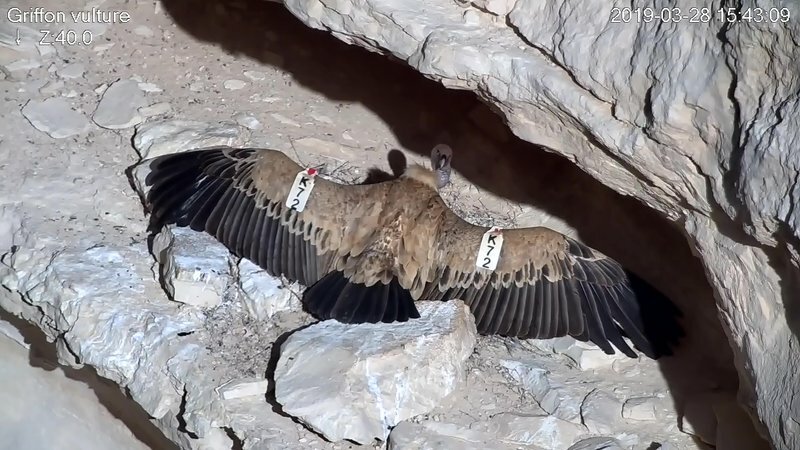 Through the project we managed to convey value content to millions of viewers from 104 different countries and emphasized the importance of conservation of the natural systems and the continuum of open spaces in Israel. 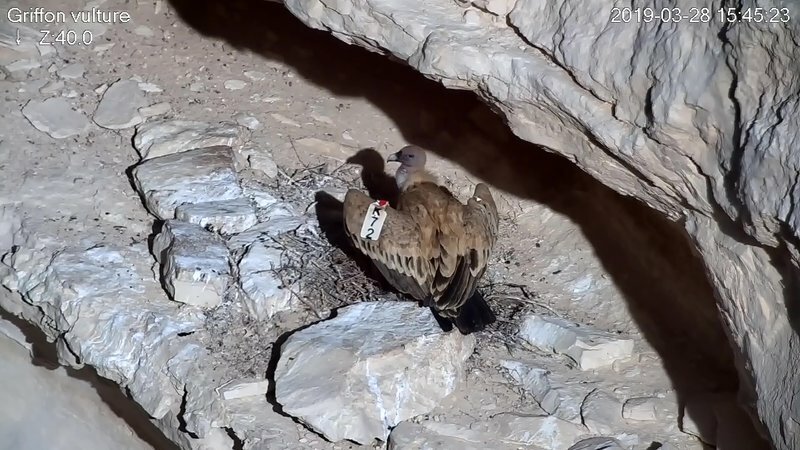 Now, with the help of the Heritage Foundation and Forshef Kanaf, we are turning the spotlight on the wild eaters, the "nature sanitarians" who live in Israel and are in grave danger of extinction. The camera on this page conveys an eagle's nest (Gyps fulvus) - somewhere in the Negev Highlands of Israel. Since the establishment of the State of Israel, the number of eagles in Israel has dropped alarmingly. 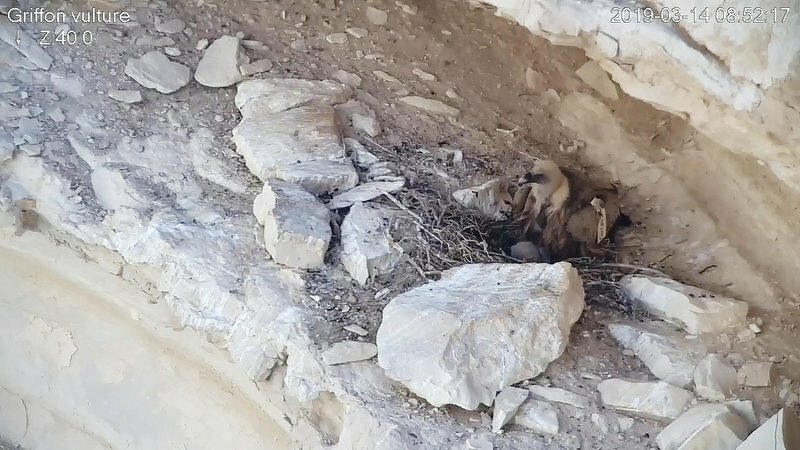 Until the 1950s, hundreds of eagles nested in all the mountainous and cliffs of Israel - from the Hermon slopes to the Eilat mountains. In the early 2000s, the number dropped to 120 couples, and today it is estimated that the number of couples is about 50. 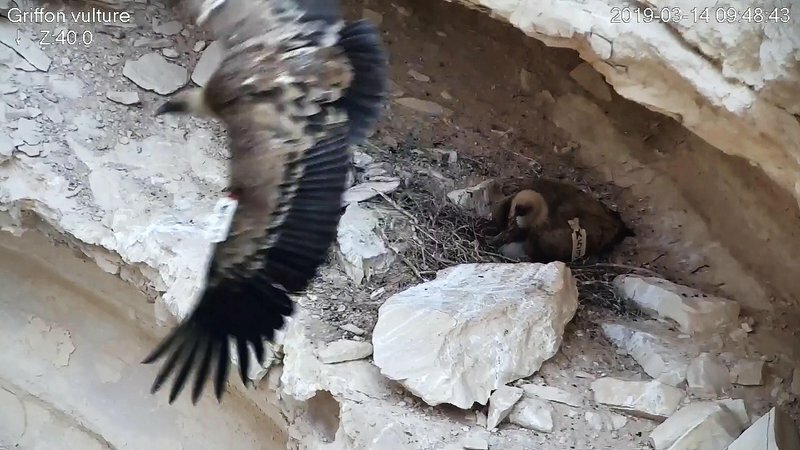 That is why the Eagle - the king of birds - is in danger of serious extinction (CR) in Israel and elsewhere in the eastern Mediterranean basin. 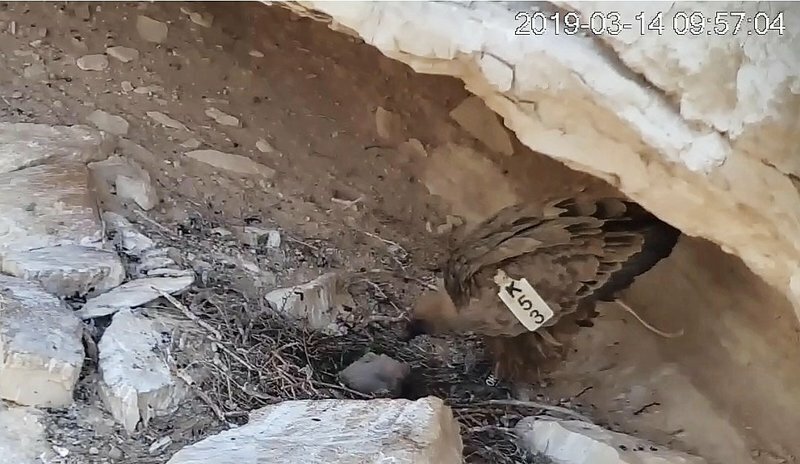 The eagles conservation project in Israel has been defined as a national project and a great deal of effort is being invested in order to preserve this population. The eagle is overrun by a huge day with a wingspan of up to 2.65 meters. Its long neck and large, strong beak are well suited for eating carcasses and skinning. The eagle's stomach is strong and acidic and helps to neutralize the toxins and rotting substances in the flesh of the carcasses. 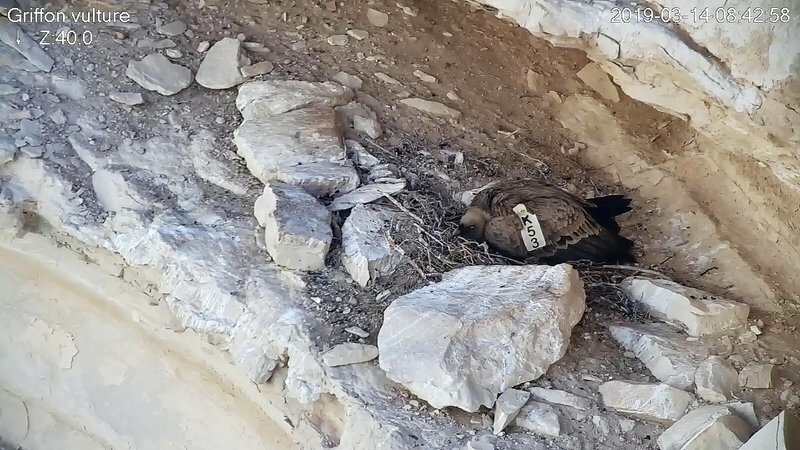 Because of these, the Eagle is an important link and plays a central role in the natural system - it is considered one of the "nature sanitarians" that help the environment in "killing" carcasses and thus preventing the spread of various diseases. 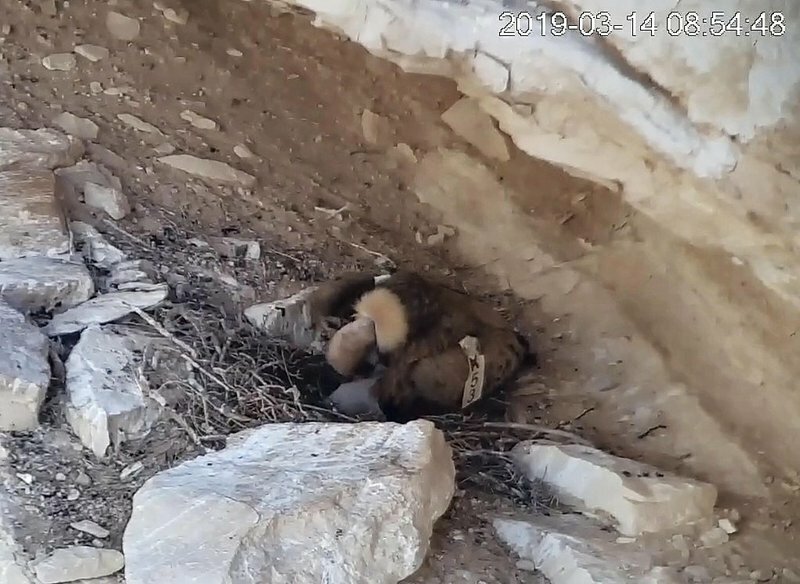 With special online cameras (HD), we will broadcast the whole nesting process and the incubation sequence from the nest until it blossoms successfully from the nest. 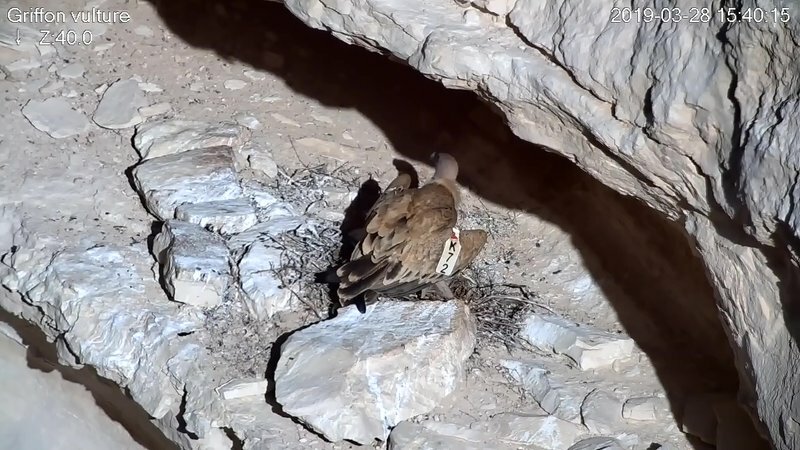 We are excited to expand the live broadcast of the 2019 nesting season again, and this time with a new and special surprise, and invite the general public to get excited and follow the broadcast and explanations and enter the fascinating lives of the day-to-day dorsi and the great night-time dancers in Israel. 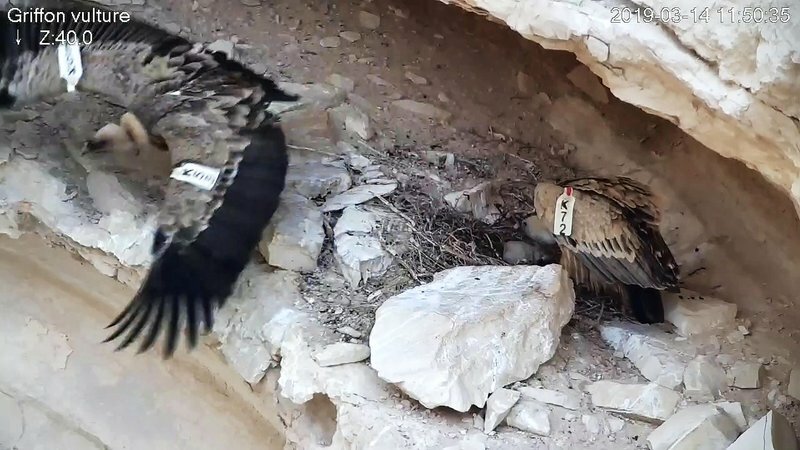 We all hope that the upcoming season will be as successful as its predecessors, and wish couples a great success in nesting. 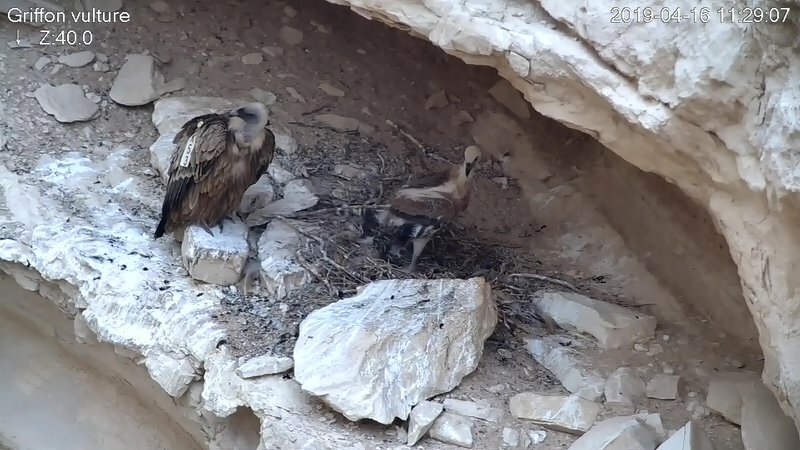 One Griffon vulture visible, is it a female on her nest? Is there an egg? 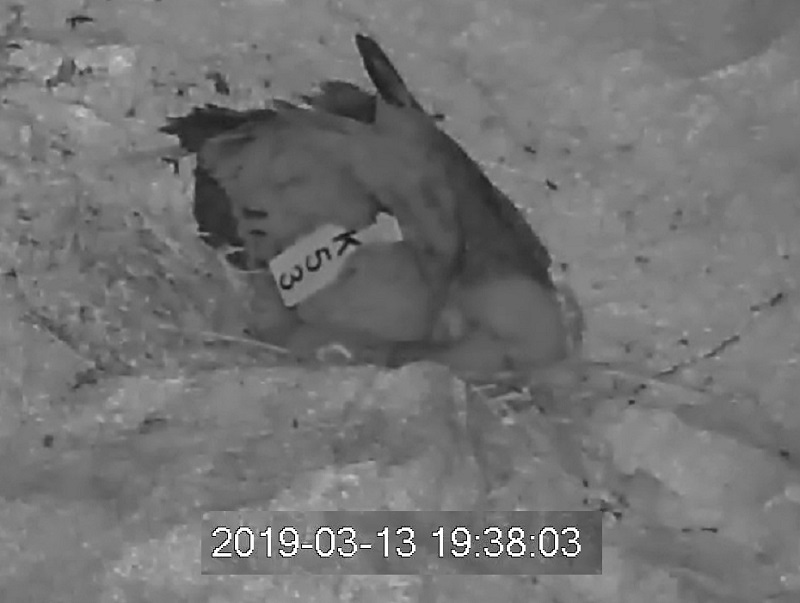 Ahhh ... we have a bird with a wing mark! Oups, around 21 o´clock there was no connection, maybe they don´t transmit the whole night ... or maybe have only a temporary cam failure. Bea, Thank you for the interesting cam. It's a freshly hatched chick? It does not raise the head. Please note that due to technical constraints, the live broadcast will only be transmitted during daylight hours. Watch the Explorer browser for optimal listening. 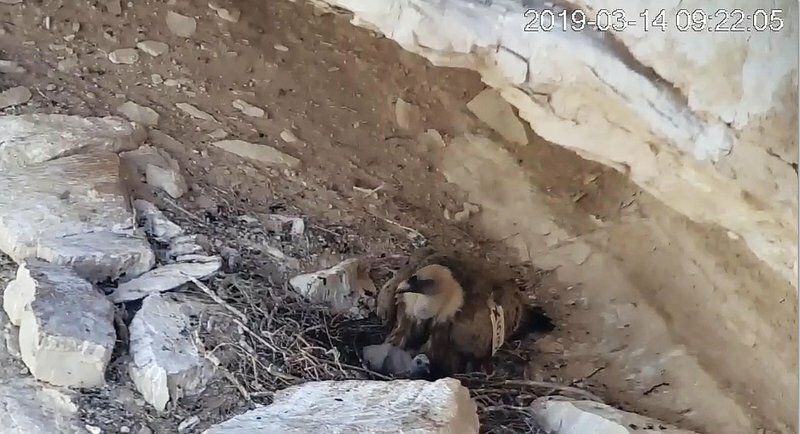 9:20 the little one shows up . What a cutie! I think it is a feeding? Yes, it is a feeding. The Griffon Vulture chick seems to develop well. K53 was guarding the chick when K72 came home. 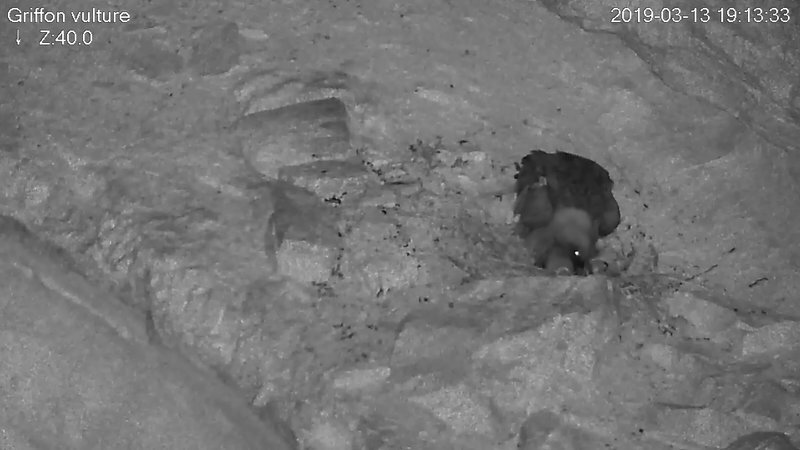 After a short time of all together on the nest K53 left. 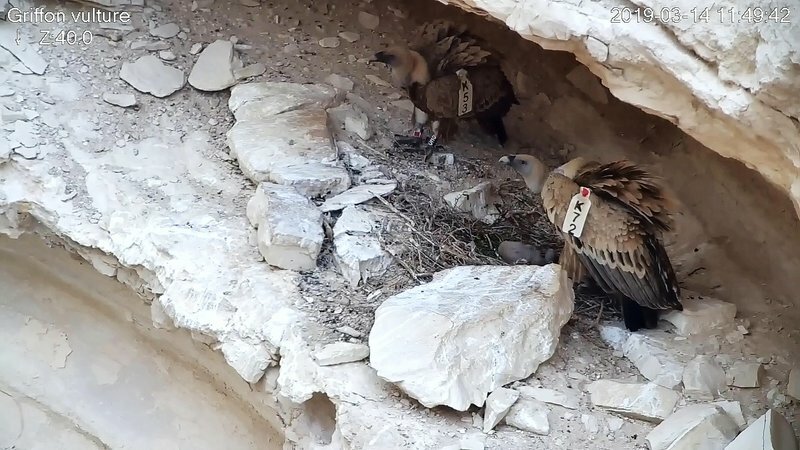 There is often quite a noise before and around noon, as if there were students not that far, they often shout loud, but the vultures are obviously used to this noise, they don´t seem to feel bothered by this. 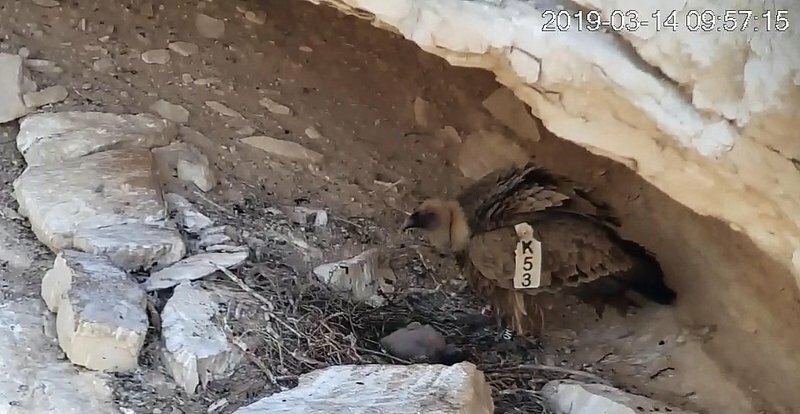 K53 was with the chick when K72 arrived. Shift change, K53 got a bit free time. K53 returned again after minutes, did also a little nestwork and left again. 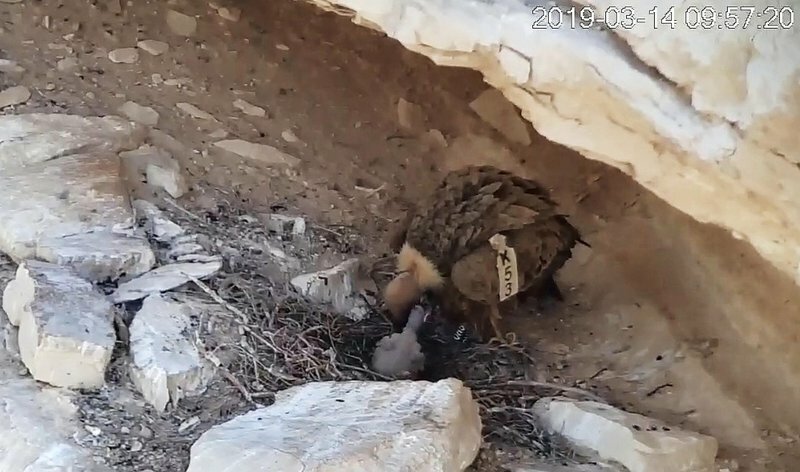 The chick follows departures very interested with its eyes. 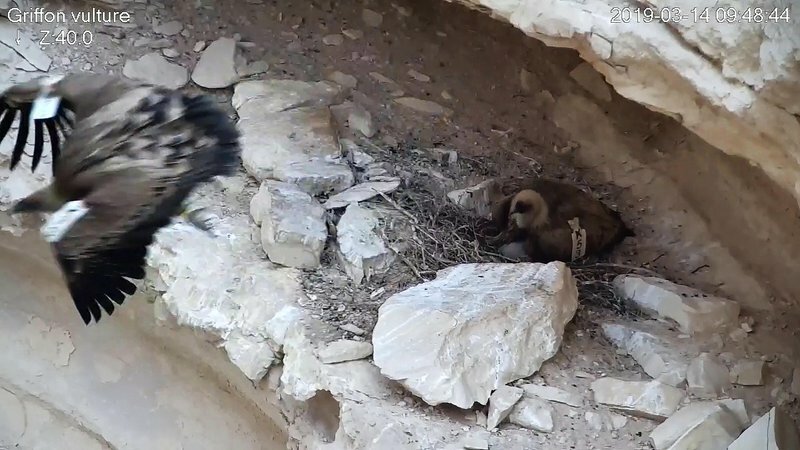 It was begging for food, but parents feed it well dosed and not every request for food is successful.